The weather complicated an already rough situation. Even in fair weather, Seattle Public Schools officials have been struggling to remedy the district's transportation problems. Viadoom may not have exacerbated the school transportation problems in Seattle, but snow certainly has. Seattle Public Schools students are staying home Monday, adding to two days of missed school last week due to unusually heavy snowfall. On Friday, when schools were open, 39 school bus routes weren’t running in the morning or afternoon because weather conditions prevented a high number of drivers from coming in to work, according to First Student, the company that provides bus service for the district. Eight more routes were running up to an hour late on morning service. To make sure students got home on time, the district said buses were parked outside of the schools instead of the bus yard after morning routes were finished. The weather complicated an already rough situation. Even in fair weather, district officials have been struggling to remedy the district’s transportation problems. At the root of many late or canceled routes this school year is a driver shortage at First Student, a company that, until recently, was the district’s sole provider of yellow-bus transportation to nearly a quarter of the city’s 53,000 public-school students. The snow brought new challenges for special-education students and their families, whose routines have already been disrupted by late or missed buses since fall. When buses ran on snow routes on Wednesday and Thursday, Shawna Murphy and several other parents discovered their kids’ special-education buses, which provide door-to-door service, wouldn’t be stopping for them. When Murphy asked the district why, she was told she hadn’t filled out a form sent to parents in the fall to opt-in for snow-route service, an extra requirement that general-education families don’t need to do. “They said I had a one-week window in October to do it,” said Murphy. “I had never heard of the form.” Murphy and a few other moms shared what they discovered on social media and wrote emails to the district. After KUOW first reported on the requirement Thursday, Murphy said the district sent parents a copy of the form, but with the stipulation that it would take five business days to process her request. Forty-three of 47 routes affected by the delays Friday were for special-education students, according to a district spokesman. 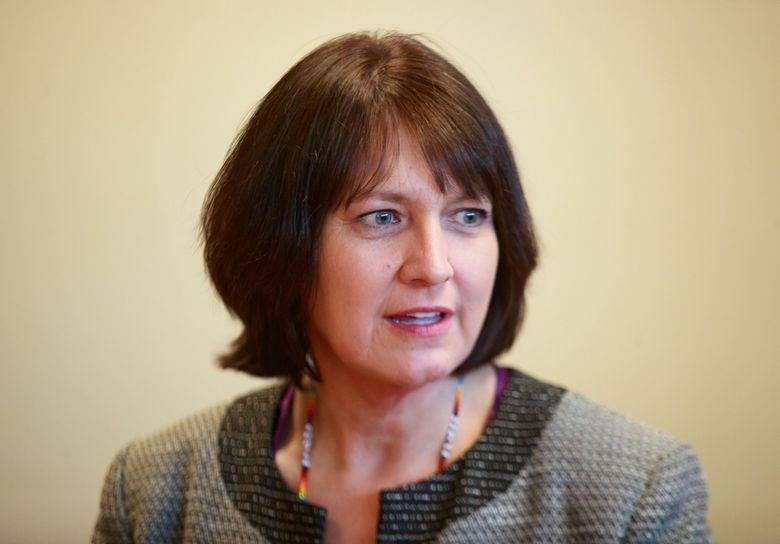 With First Student’s contract set to expire in August 2020, Superintendent Denise Juneau said during Wednesday’s School Board meeting that she is “taking action” and convening a group of business partners and community members at the end of February to brainstorm a possible mixed delivery model that could build off existing infrastructure. Several officials have suggested that Seattle has outgrown yellow school buses because of its traffic and growing population. “We cannot continue telling parents to get their kids to school when we are failing on that front,” Juneau said. She was not available Friday to respond to a question about whether she’d advocate for terminating the district’s contract with First Student. Seattle City Councilmember Kshama Sawant said she wants to see the district bring bus service in-house during public comment at the board meeting this week. She brought with her three middle-school students who created a petition with more than 1,000 signatures in favor of the district halting the use of outside transportation contractors. Board President Leslie Harris has shot that idea down several times, arguing the district does not have the money and land required to store buses. A spokesman for First Student said the company made good on its goal of fully staffing the routes it services by the end of January. There are 384 drivers for 360 routes. The district started contracting with another company, Durham School Services, for 15 additional buses in October.